The Grand Forks Fire Department was formed in 1897 by a group of local businessmen. The group used an old garage until 1900 when a fire hall was built. It was torn down in 1987 and the present fire hall was built on the same property. In the early 1900's the department had a horse drawn Steam Pumper. It was similar to the one the fire department members are restoring at this time. The first motorized fire truck was received in September 1929. The unit has been restored by the department and is on display at the Boundary Museum. In 1946 the department acquired a second fire engine through the War Assets Corporation. The unit was an ex-Army 1943 Chevy fire engine. Over the years we have seen a major change in fire apparatus. New Fire Trucks were received in 1965, 1977, 1980, 1993, 1997 and the latest in 2002. In 1941 the fire department acquired approx. 60 acres of land for a racetrack and amusement park. The area became known as Fireman's Park and was situated where Canpar, Roxul and Pope & Talbot's log yard are today. The park consisted of a large racetrack, grandstand, a large barn and numerous small outbuildings. For many years the fire department organized the annual fair as well as sponsored shows such as the RCMP Musical Ride. The annual fair always included a large midway with rides for the entire family. In 1967 the City Council approached the Fire Department with a proposal to purchase Fireman.s Park for an industrial site. The assessed value at that time was $12,500. At the time the council promised to make another area of town available for a site for the annual fair. To date this has not happened. In 1953 the fire department raised money to purchase an ambulance for the area. Through a variety of raffles and fundraiser they were able to purchase new ambulances in 1959 and 1967. The ambulance service was operated by the fire department until the late 1970's when the Provincial Government took the service over. In 1957 the New Rural Fire Protection District asked the City Fire Fighters to operate the Rural's Fire Engine at fires outside the city boundaries. This was done by the volunteers until the Rural formed their own Fire Fighting crew in 1979. The City of Grand Forks began operating the two departments as one combined fire department again in November of 2006. We now operate out of 5 fire halls with 14 pieces of apparatus and 3 command vehicles. The fire department also raised money through various fundraisers and donations from the community to purchase the "Jaws of Life". These are used to assist the Ambulance Service in removing patients from automobile accidents in our area. 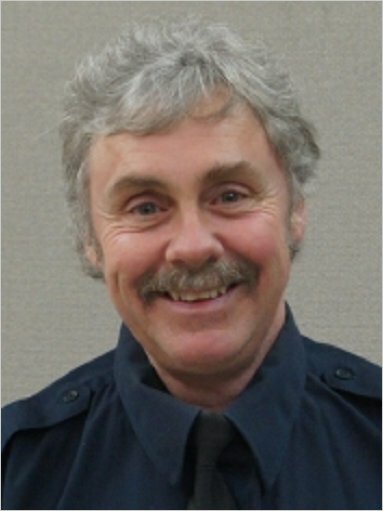 Ace Talarico became the first full time paid Fire Chief for the City of Grand Forks in 1970. Today the fire department consists of almost 50 volunteer fire fighters with a paid Chief and Assistant Chief. In 1944 the department responded to 22 calls for the entire year. Today we respond to an average of 25 calls a month.